Muscle Building & Preservation: Density boosts the level of EAAs in your bloodstream. * When blood EAA levels rise, muscle protein synthesis increases almost linearly. Muscle protein synthesis is the essential element of building muscle. Balanced and complete: Designed by a PhD chemist, Density supplies 500 mg of every EAA, including L-tryptophan. L-tryptophan is frequently missing from other EAA supplements. Fast-acting: Because the amino acids in Density are in their free form (i.e. not protein-bound), they require no digestion and are ready for immediate absorption. Lab-tested: We select only pharmaceutical-grade ingredients that have been lab tested to verify that they are free of impurities. Vegetarian: Density contains no animal products. Imperfect eaters: Do you often skip meals, or not eat high-quality protein as frequently during the day as you should? Let’s be honest…Most of us aren’t perfect eaters. Taking Density with meals improves their nutritional quality by ensuring that your body gets every amino acid it needs. You’ll feel and perform better as a result. For maximum results, take 10-15 tablets of Density daily, divided into doses of 3-5 tablets each. The best times to take a dose are upon arising in the morning, before working out, and with meals. 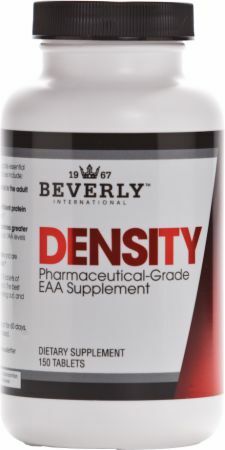 When taken in between meals, Density helps preserve muscle by boosting blood EAA levels. * This is especially important if you are a hard gainer, 40 years of age or older, or on a calorie-restricted diet. Emanny99 says: "One of the best I've ever tried. As a natural bodybuilder, having my aminos is essential. Density helps keep me looking full and strong. * Love this product." Jim D says: "Density is almost "muscle-in-a-pill". When I’m not working out, it helps protect my muscles. When I resume working out, it helps them spring back to size quickly." Amazingg says: "As a vegan, I use this product daily to provide any missing essential amino acids. I take it before and after workouts. I also regularly take Quadracarn, Super Pak, and ZMA. 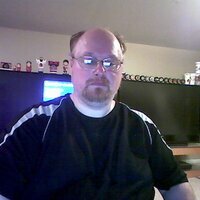 I have a very physical job, plus working out every day. My immune system stays strong, as does my energy and muscle mass. My sleep is deep and restorative." Fred K says: "Density combined with Quadracarn made all the difference in my physique getting harder before my competition. I called Beverly about a week ago. I wasn’t having any troubles getting lean, but I wasn’t getting harder. They suggested adding Density and –BAM!—it made all the difference." Great product. Currently using for leaning out phase of diet. Love the increased strength. I've taken this product. Stopped. Then, took it again. I did notice a difference. I lift heavy. It does help. Beverly products are not the cheapest, but they are among the best. I reccomend this product for the serious person. I take five pills before Cardio and after and I find it helps! with all Beverly Products though I do find them to be a bit pricey!! This product works, but you do have to take a lot of pills. I would rather see this in a power form. Hands down Beverly is the best product out there for natural bodybuilders. Get yourself some why don't you; try them all or whatever fits your needs!!!!! Density has worked well for me! Directions For Density: Take 5 or more tablets daily with a meal. For maximum results, you may wish to take 10-15 tablets of Density daily, divided into doses of 3-5 tablets each. The best times to take Density are upon arising, before working out, and with meals. Learn more about Amino Acids.